My client is a Chartered Building Consultancy, registered with and vetted by Construction line, Association of Building Engineers, Association for Project Safety and regulated by the Royal Institution of Chartered Surveyors (RICS). They were established in 2006. The practice has experience of working in residential and commercial sectors.The practice is a young and highly motivated company undertaking projects in London, Surrey, Sussex and Kent. My client are looking to secure the services of an experienced residential surveyor to become a key part of their team within various locations in the UK. Applicants will need to be RICS registered valuer, with at least 2 years post qualification experience of residential surveying, home buyer reports and mortgage valuation surveys as this role will be responsible for strategic relationships in these areas. Candidates specifically need experience carrying out building surveys, homebuyer reports and valuations for home buyers. They are not looking for council or social housing specialists as the most previous employers. Clean driving license essential. Industry leading package available dependent on experience. 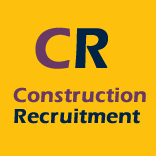 ConstructionRecruitment.net acts as an employment agency for permanent and contract recruitment.